It appears Apex Legends is already amounting to a runaway success for Respawn Entertainment and Electronic Arts. In just its first day on the PlayStation 4, PC, and Xbox One, the game was played by 2.5 million unique players. 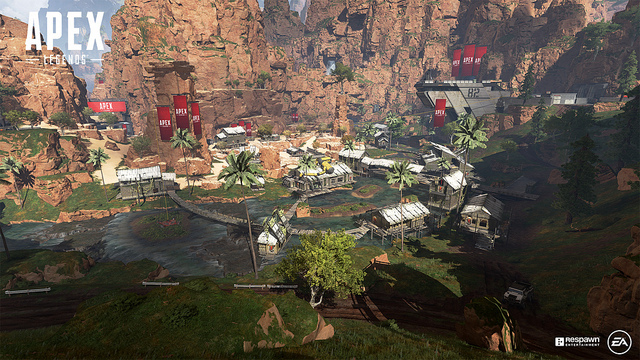 Additionally, Apex Legends‘ highest number of concurrent users during that first day was a whopping 600,000. This serves as but another noteworthy victory for Respawn’s free-to-play battle royale game. After a detailed leak and simultaneous reveal and launch, Apex Legends drew one million unique players in under eight hours. If Apex Legends can sustain a fraction of this momentum, it could spell good tidings for the title’s future. There’s another Respawn-developed experience that fans have to look for to in 2019. The studio’s Star Wars project, Jedi: Fallen Order, is slated to launch sometime during this year’s holiday season. Curiously, both EA and Respawn have remained tight-lipped about the game’s specifics. Who knows? Perhaps, in a manner mirroring the release of Apex Legends, Jedi: Fallen Order will become available when everyone least expects it. Apex Legends is now available as a free-to-play experience on the PlayStation 4, PC, and Xbox One.